The weather was darn near perfect in Winston-Salem on Wednesday with a high in the high 70s, plenty of sun and freshening wind. Conditions were right for DSG to go for broke and play 36 holes on the second playing day of his cost-conscious golf trip. Tanglewood's Championship Course was the choice for the morning round, and what a revelation it was. Opened in the late 1950s and designed by Robert Trent Jones, the Championship Course is one of the many attractions in the 1,100-acre Tanglewood Park owned by Forsyth County and operated by Forsyth County Parks and Recreation. The Championship Course offers a substantial golf experience for the money. It is demanding enough to have hosted the 1974 PGA Championship as well as the RJR Championship and Vantage Championship on professional golf's senior tour. With its three sets of tees, it's also extremely playable for amateur golfers of all handicaps. 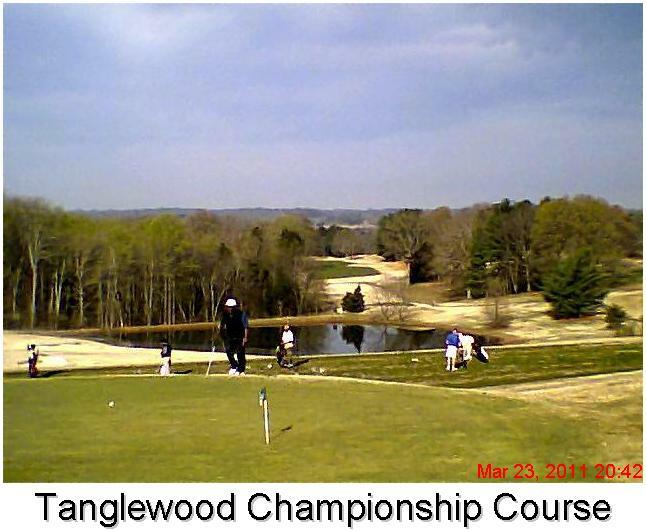 "It's not a course where you'll lose a dozen golf balls,'' said Mike Wilcox, a PGA member and director of golf at Tanglewood. Wilcox said Tanglewood at this time of year gets business from snow-weary, golf-hungry tourists from Ohio, Pennsylvania, West Virginia and other Midwestern and Eastern states. It's also a favorite of golfers from the Winston-Salem area and central North Carolina, where there are many affordable golf courses. On Wednesday, I played solo on the front nine before joining up with Edmund, Jacob and Reggie on the back nine. Guys, it was great sharing part of the afternoon with you. I apologize for misplacing the scorecard on which I wrote your last names. Send me an email at dglasier@news-herald and I'll make it right in an upcoming blog. My favorite holes on the Championship Course included the par-5, 614-yard 5th hole, which, for the heck of it, I played from the tips. Made a par by hitting a sand wedge to 10 feet and canning the putt. Considered the day made with that one. Otherwise, I played the white tees all day. No. 12, a 182-yard par 3, definitely gets your attention with water to the left of the green and sand traps ringing the putting surface. Hit a good drive on No. 17, a 500-yard par-5, and for your second shot, you'll have to decide whether to go over or around an imposing array of sand traps guarding the approach to the green. No. 18 is a 387-yard uphill dogleg to the right offers a nice challenge to end the round. Wilcox is one of two pros at Tanglewood. The other is Chad Keaton. The amenties at the Championship Course - pro shop, snack bar, locker rooms, putting green and driving range - are first-rate. Keaton said clinics are offered throughout the season (see the website cited above). Golfers also can avail themselves of a lesson for $50 an hour, a rate that is extremely competitive. 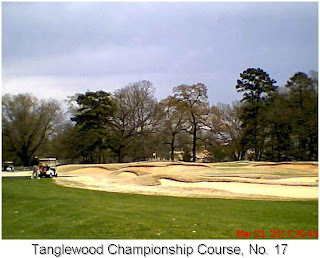 The Tanglewood complex also sports another 18-hole track, the Reynolds Course, an 18-hole par-3 course and a driving range. Greens fees for the Reynolds Course are $26 weekday/$32 weekend (with cart) and $21/$32 for seniors. Greens fees, with riding cart: $30; $24 senior, 60 and older; $20, after 3 p.m. It was about 2:30 in the afternoon when we finished the round at Tanglewood's Championship Course. With the weather forecast for Thursday in these parts on the iffy side, I decided to make the 20-minute drive down I-40 East to Olde Homeplace and get in a second round. 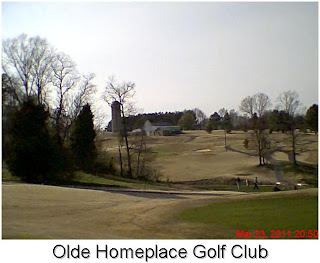 I'd found Olde Homeplace doing web research for this trip and loved the way the course looked on its website. It more than measured up to expectations, both in terms of visuals and the golf course. 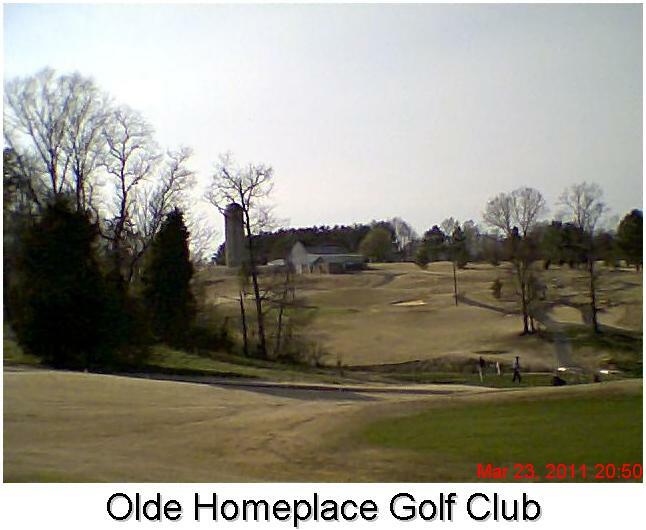 Olde Homeplace is pretty, playable and challenging for the average-to-good golfer. The course is open on most holes but requires accuracy, course management and, on some holes, local knowledge. As luck would have it, I was met on the first tee by Rob Lorber, a 65-year-old Winston-Salem area resident and one fine golfer. We played 18 holes together and had a great time. He had tons of local knowledge and was only too eager to share it. If ever you are in Winston-Salem to sample the area's array of affordable courses, I urge you to play a round at Olde Homeplace.